Now in its 15th year, the Grand Prix d’Horlogerie de Genéve is the biggest award ceremony in the watch industry. This year, over 170 watches are being considered for top honors in 12 different categories, with one of those finalists receiving the Aiguille d’Or — the ceremony’s top prize. 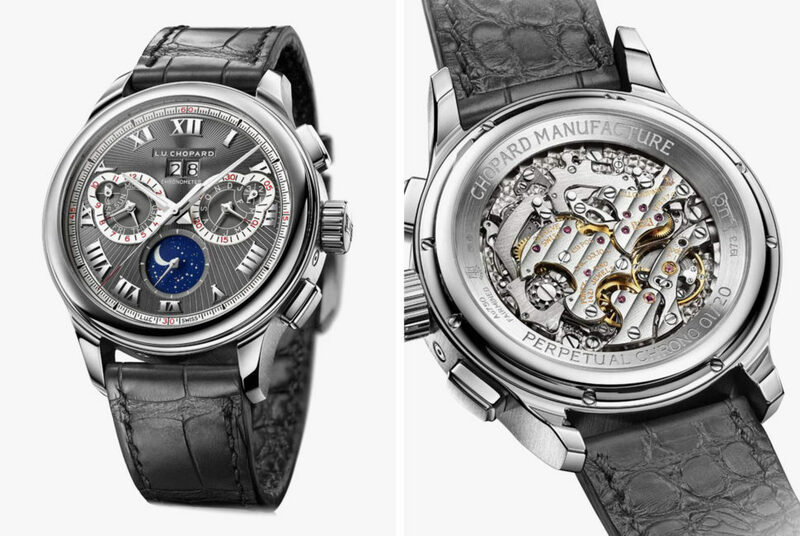 (In 2013, it was won by the Girard-Perregaux Constant Escapement L.M; in 2014, the Greubel Forsey Tourbillon 24 Secondes Vision; in 2015, Breguet Classique Chronométrie.) The impressive field of competitors will be narrowed down to 72 finalists (six in each category) in the coming weeks, with the final winners selected in November. Were we the judges, these would be our winners. While most of the other contenders in the general Ladies’ category are so encrusted with jewels that they border on BeDazzled, Zenith’s Elite is a much more subtle piece, with a slim 9.1mm case made from rose gold and a mother-of-pearl dial. 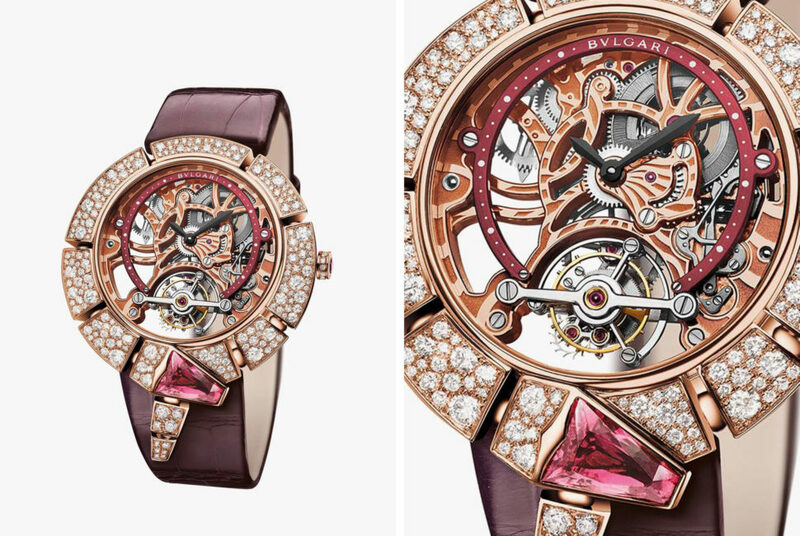 The only thing that can upstage a skeletonized dial showing off Bulgari’s tourbillon movement: a pink gold case, shaped like a serpent and incrusted with 209 diamonds and two rubellites. 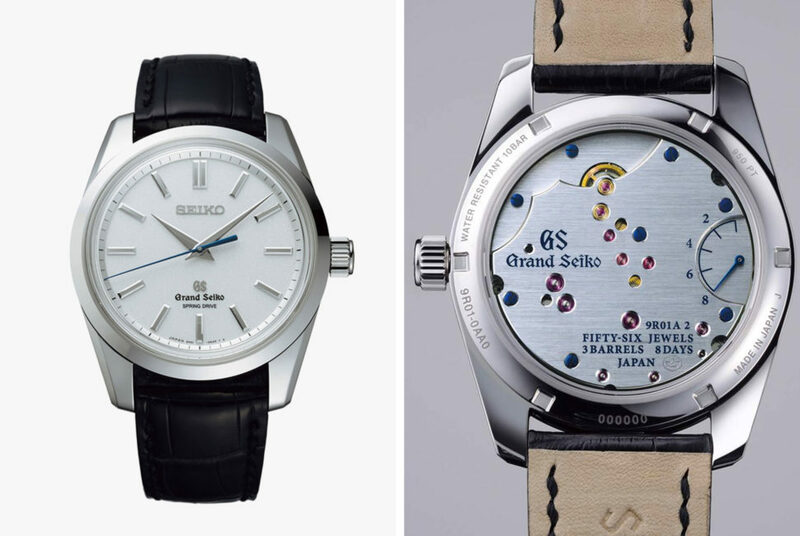 Made in Seiko’s top-tier “Micro Artist’s Studio,” the brand’s 8 Day Power Reserve watch features the lauded Spring Drive movement, modified to provide a whopping 198 hours of power, housed in a platinum case and adorned with a diamond-dust dial. 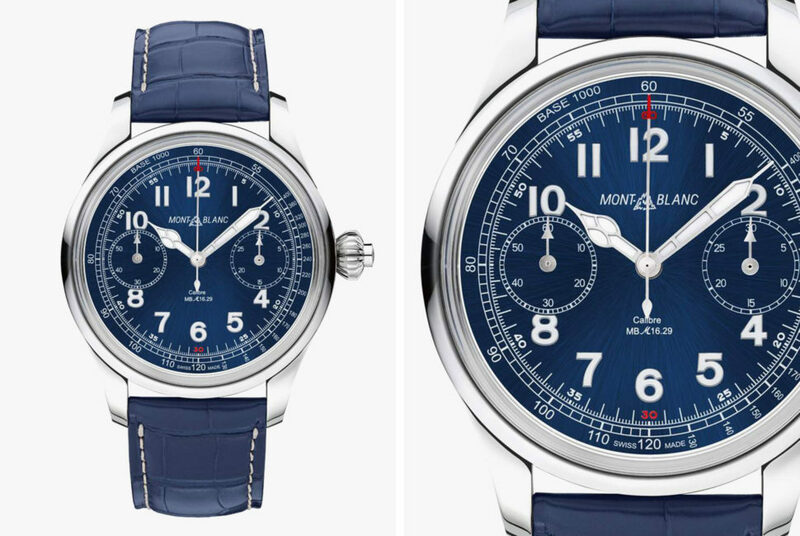 A handsome, limited-edition timepiece that pays homage to the precise, mono-pusher chronographs made by Minerva (which Montblanc acquired in 2007) in the ’20s and ’30s. 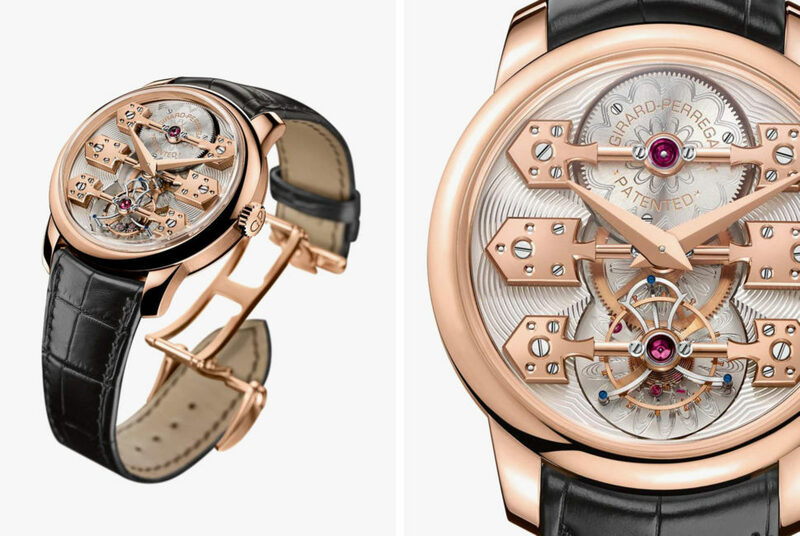 An intricate and unique watch that puts the hand-finished tourbillon movement and three pink-gold “bridges” front and center. The hand finishing of the watch takes more than two weeks to complete. Chopard’s Perpetual Chrono not only features a full perpetual calendar with a moonphase display, but a chronograph movement as well. 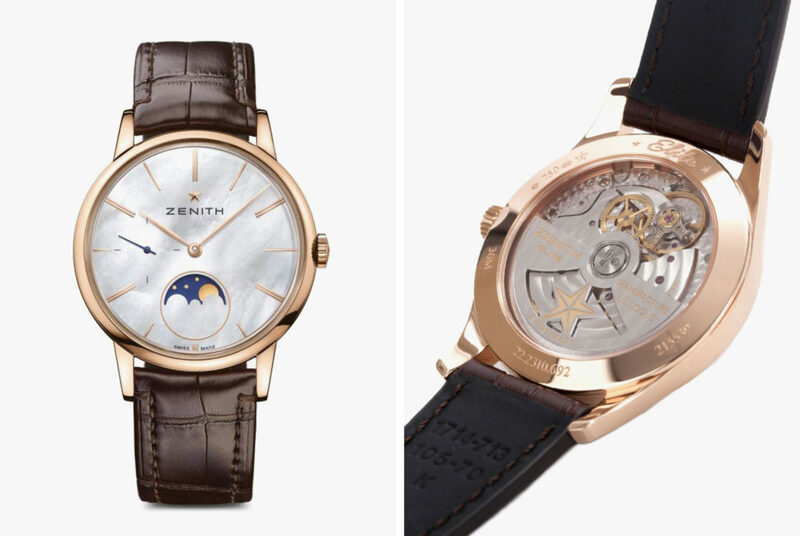 The watch has both the Geneva seal and a COSC certification. 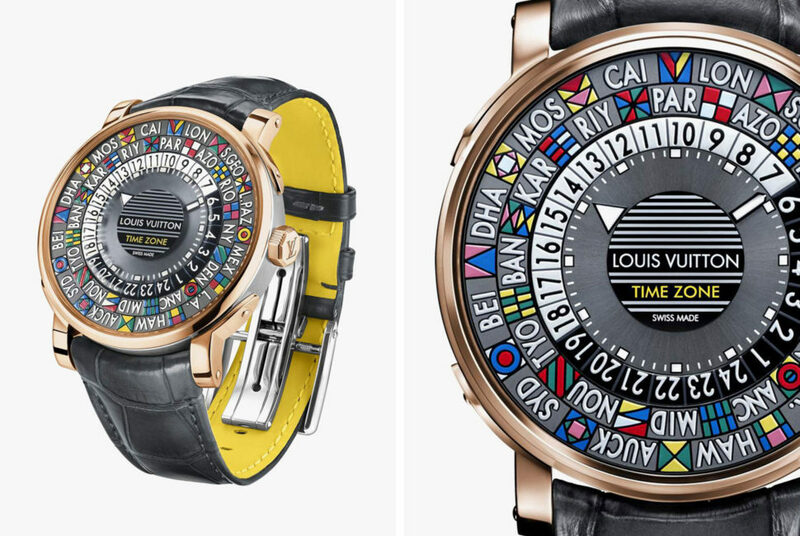 The Louis Vuitton Escale is one of our favorite world time watches because of its ultra-slim 8.4mm case and unique, vivid dial. 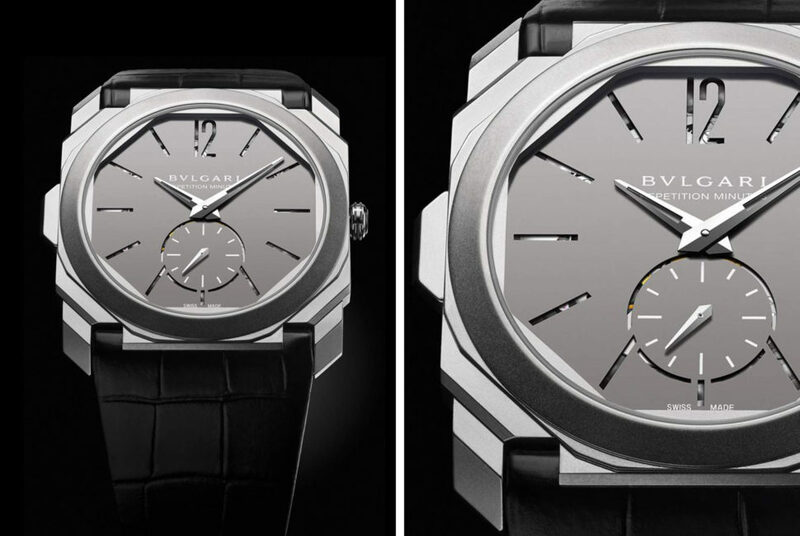 At 6.85mm thick, Bulgari’s new take on the Genta-designed Octo is the thinnest minute repeater watch currently on the market. 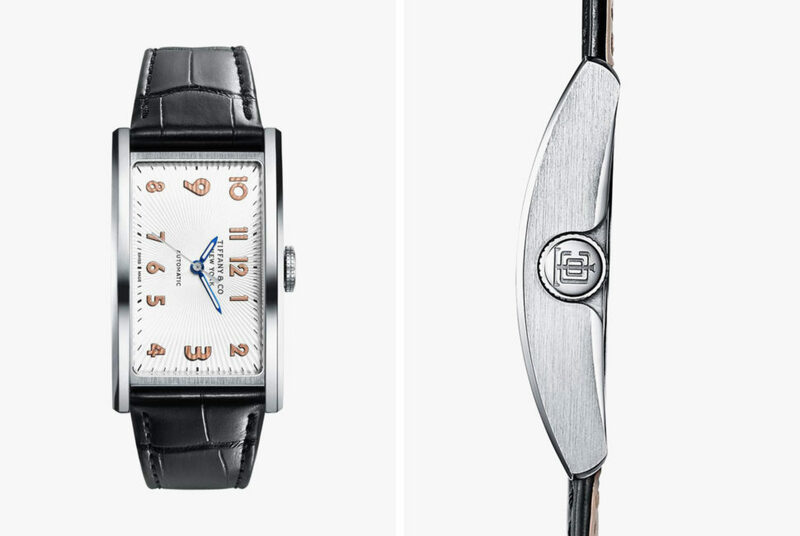 (This qualifies it for this category, which is defined as “watches featuring a special mechanism, such as an innovative or sophisticated display, an automaton, a striking or any other acoustic function, a belt-driven movement or any other original and/or exceptional horological concept.”) The case is titanium, and the dial’s numerals are cut out, revealing small glimpses of the super-thin movement inside. This is our bet for the Aiguille d’Or. Tiffany’s East West is both esoteric and a contender for the competition’s affordable watch category, the price ceiling of which is 8,000 Swiss Francs. The sideways design is stunning — with a guilloché dial and ’40s typography for the numerals — but the watch also features a Swiss automatic movement viewed through a crescent-shaped window on the case back. 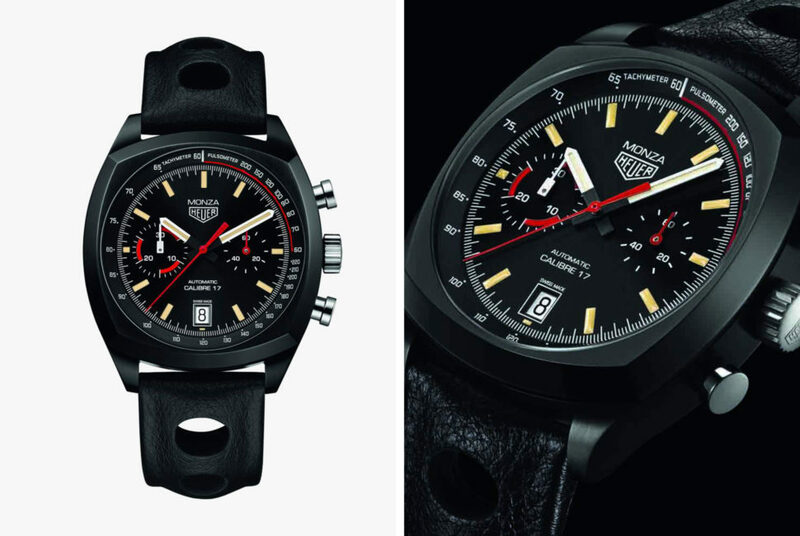 The return of an overlooked racing chronograph from Heuer, once made to commemorate a Ferrari F1 championship. It’s another addition to the growing crop of all-black timepieces. 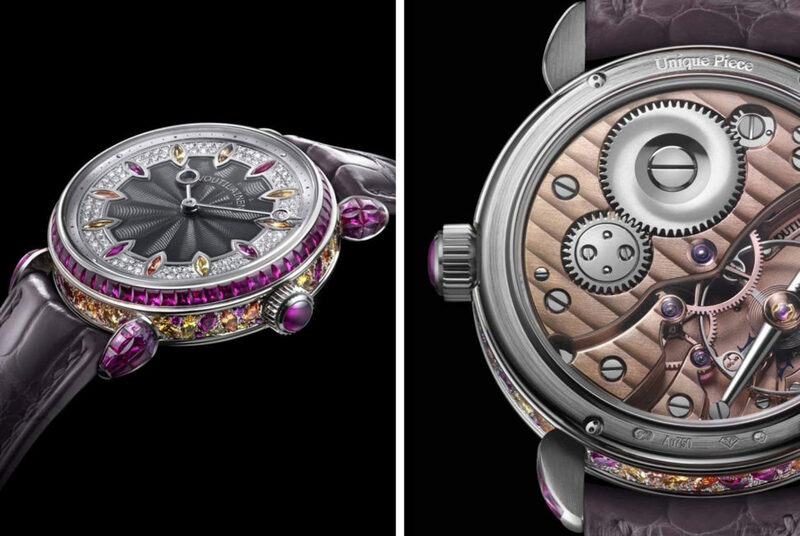 Seeing as the Jewelry class is judged based on exceptional jewel-setting and inspired jewel variety, the Voutilainen’s autumnal colors and subtle placement of its 423 gems make it a standout. The Artistic Crafts category recognizes mastery of skills like lacquering, engraving and skeleton-working. 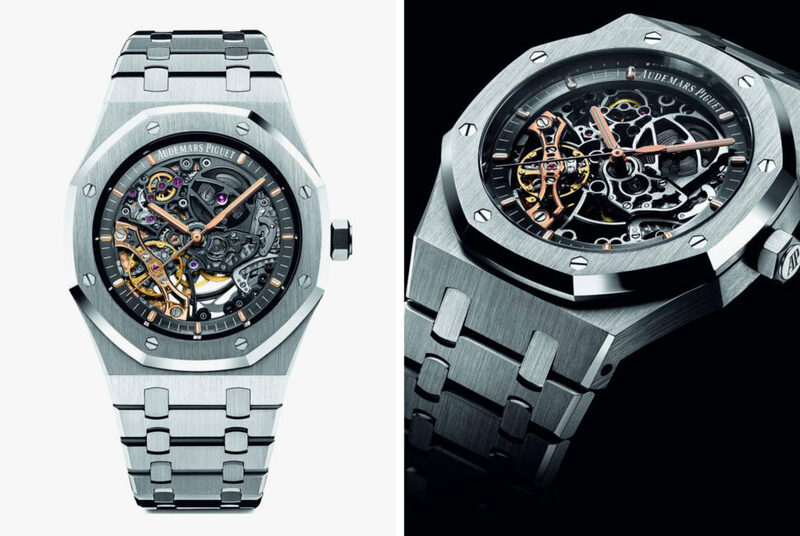 While this Royal Oak doesn’t have much of the first two, the skeleton work on it is breathtaking, and shows off a gorgeous movement with two balance wheels.